Dylan and Tristan's epic love story continues in the third and final book in the Ferryman fantasy trilogy. Once, they escaped death but now they face a terrible choice, to save innocent lives they must be parted, forever. Is there love without sacrifice? But every action has a consequence, and their escape to the real world has caused an imbalance in the afterlife. It's owed two souls -- and it wants them back. When the world of the dead claims Dylan's parents to restore the balance, Dylan and Tristan are offered a terrible bargain: stay together and condemn innocent souls to death, or return to the wasteland to take their place and face separation. Forever. With no place left for them in the world of the living or the dead, will Dylan and Tristan make a heartrending sacrifice? 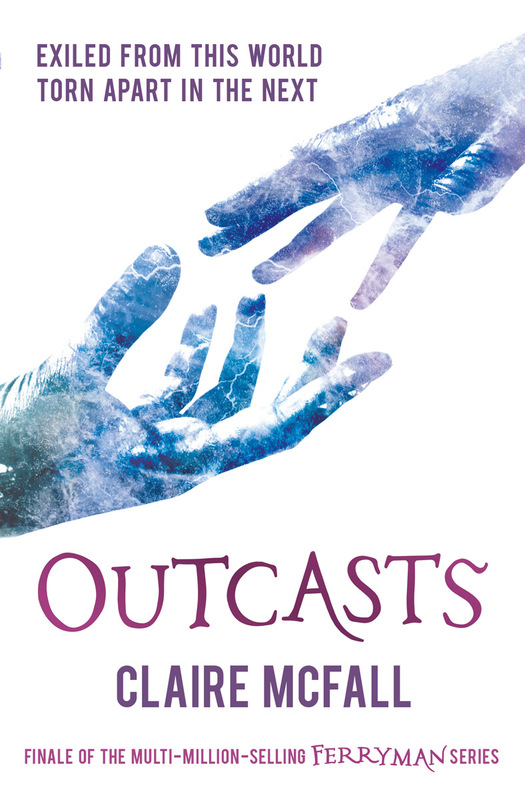 The stunning final instalment of Dylan and Tristan's epic love story, Outcasts is the much-anticipated follow-up to the award-winning Ferryman, and heart-pounding sequel Trespassers. With more than two million copies sold worldwide, Ferryman is a cult sensation in China, staying in the top 10 bestseller chart for three years before securing a Hollywood movie deal in early 2018. Language rights to the Ferryman trilogy have been sold in 14 territories. 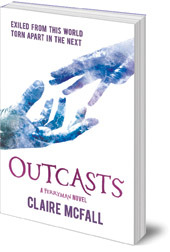 Claire McFall is a writer and a former teacher who lives and works in the Scottish Borders. Her first book, Ferryman, won a Scottish Children's Book Award, was long-listed for the Branford Boase Award and nominated for the Carnegie Medal, and a feature film is in development. She is also the author of dystopian thriller Bombmaker and paranormal thriller Black Cairn Point, winner of the inaugural Scottish Teenage Book Prize.